August 2018 edited March 22 in Make It So! I am making this new Trait Audit Thread as Travis has decided to step down due to personal reasons. So please post here about what traits needs to be altered in game, be they added or subtracted. And as always some traits are open for discussion on their ex/inclusion. Prisoner - an individual who has been captured and held, usually on legal bases. It seems that Spy is a vocation within the espionage field and Undercover Operative refers to agents in operating under a false identity, whether for espionage, detective work, etc. These changes would make the most sense. They are not necessarily mutually exclusive, neither are they necessarily the same thing. Explained in depth by @Lady Gaghgagh here. Short version: Either rename Prisoner to Captive, or create Hostage to distinguish from Prisoners. ---the ship is still Klingon in design. ---the ship was essentially the maiden voyage of Starfleet, so undoubtedly this ship is historic. ---its cloaking device was the thing which made it so harrowing for Picard et al to battle. ---the ship was used specifically as a special weapon in war. Thanks for keeping this going. DB needs to implement these changes ASAP. Thanks for taking command of the thread Lady Gaghgagh! If you are considering Burnham(s) for Vulcan Trait, then Amanda Grayson should be on there as well, as she deserves it much more than Burnham! Okay a grey area has opened up in the "Mirror Universe" traits. I am picking nits here, I admit, but it is something to consider when keeping things Canon or not. In TOS, it was in the Dialogue between Mirror Spock and Kirk as being in and things being relative to "Starfleet". In Discovery, all the way through the Mirror segment, Starfleet was used only by Prime Disco crew, and the idea of "Starfleet" was sneered at by Emperor Georgiou. If we hold things to Canon, then all Disco-era Mirror Universe/Terrans are NOT Starfleet, and suggests that "Starfleet" came into being after Emperor Georgiou vanished and someone else stepped in. This is further complicated by the fact in ENT, there is dialogue between Terrans about "orders from Starfleet". One can only assume by way of infinite parallel universes, that all three of these Mirror Universes could be separate and different, but always similar. Or someone from CBS made a faux pas when writing the script for Discovery, and not properly researching it. Admittedly I haven't seen any DS9 for over 20 years, so I cannot speak to the facts on them, and someone should look into that as well. DISCO Mirror/Terran crew should not. Emperor - "The Federation. I know it well from the Defiant's files. There's a reason they're classified. Equality. Freedom. Co-operation." Burnham - "Cornerstones for successful cultures." Emperor - "Delusions that Terrans shed millennia ago. Destructive ideals that fuel rebellions and I will not let you infect us again." The Borg Queen should be added to the villain's list as Mirror Picard should be added to the tactician's. Why exactly should Tactician be added to Mirror Picard? Asking because I don't know anything about the comics. Oh, sorry about the Borg Queen. I thought you had forgotten to add her in this version as the original was put in a hold. About Picard even not being completely familiar with the whole story he is in charge of an infiltration plan of the Terran Empire against the Federation and from that, I can take he is a very capable officer, able to be sent behind the enemy lines only with his crew and one ship to execute the plan. It would not be a task given to someone not really well prepared to plan well and think ahead of the circumstances. Species: Each crew should have at least one. At the least it describes what the character is. It includes artificial and nonphysical lifeforms. The trait may also be assigned to repressent a political, cultural or professional connection, or on a character disguised as or mutated into a different species. Inherit: Traits that repressent something essential to a character's nature, through either culture, biology or alternate universe. Metaphysical Powers: These traits are far out, man. EDITS 9/3: Moved Romantic to personality and added several missing traits. Shouldn't Mirror Ezri have Terran Rebellion triat? Also @Odo Marmarosa that is one missing from your list in units. Hmm...if memory serves she was more of a freelancer doing jobs for whomever could pay. I suppose she ended up with the Rebellion after helping Quark and Rom escape, so it could go either way. Moved Terran Rebellion from Political to Unit catagories, and added Mirror Universe to Inherit catagory, and edited some of my descriptions for grammer and clarity. Thanks! They recently created the "Terran Rebellion" trait to clear up the confusion regarding Terrans of DS9, after the Terran Empire is no more (see here). Some crew just had "Terran Rebellion" added, while others who had "Terran Empire" before, had that replaced with "Terran Rebellion". But Mirror Leeta slipped through the cracks (perhaps because the change was not too long after her initial release) and still holds the "Terran Empire" trait. Needs a fix, right? I admit the "Voq" trait is just plain weird. Are we going to start giving personal traits to other undercover operatives or different realizations of them? 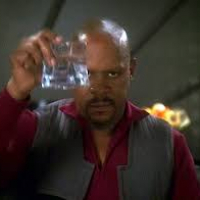 Is Benny Russell going to get "Sisko"? Herbert Rossoff as "Quark"? Galen as "Picard"-traited? Although their invisible in game, the crew you mention do have those as hidden traits which appears to be the case for Ash too. I unfroze Party Ash and he doesn't actually show the Voq trait in game, so it's a hidden trait like the others I'm guessing. Oooh, that's a great idea then, meta-traits used for better search features. 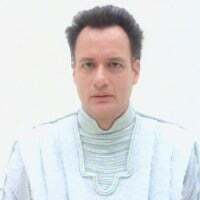 Like we can give Galen "Picard" so all of Picard's versions pop up if we simply search "Picard". Starfleet Uniform Khan should have a "costumed" trait, no? I added it in, I think you're right. We have successfully been stickied, yay! You're doing a great job moderating this thread, Lady Gaghgagh. Thank you. Shouldn't Ash and celebratory Tyler both have undercover operative? The Prophet (Mirror Sarek) has the Terran Rebellion trait, but he's really part of the anti-Terran rebellion (though I'm not sure they called it anything at all). The Terran Rebellion was made up of Terrans -- like Smiley O'Brien and Mirror Bashir -- rebelling against the Klingon-Cardassian Alliance. The Prophet was part of Voq's rebellion against the Terran Empire. I mean yes I think so, but then again he wasn't even aware of his undercover operative status, so it's a hard call. So are you saying some traits should be added, or removed? I'm thinking a good way to talk about trait additions/deletions in this thread in the future is if everyone wanting to introduce the idea of an addition/deletion could preface their comment to the thread with "Trait: Addition" or "Trait: Deletion" or even "Trait: Change" as the top line, then go into regular sentences below that. And maybe put any discussed traits in brackets. That way I can organize what needs to go where in the list without guessing or asking for clarification. Note, this only would apply to someone introducing a trait addition/deletion/change, not all following discussion thereof by other commenters. Example below. I think versions of Keiko should have [musician] as in TNG she was shown to play the clarinet in Data's makeshift band sessions/performances. Commenter 1: Yeah I think that's a reasonable trait. Commenter 2: Hmmm, but would this apply to Mirror Keiko? We have no idea if she plays an instrument in the Mirror Universe. Also what about Pah-Wraith Keiko, clearly PWKeiko wouldn't care about any mundane frivolities like playing a clarinet.